Since I have a “never knowingly give any money to Murdoch” philosophy, I have no idea what tune Sky have chosen to accompany their Football coverage this year. I imagine it’s something by Kasabian. Which is another reason not to watch Sky, of course. No matter how many times I post that, it gets no less majestic. There you go: that’s your ball entertainment covered, which is about as much as can be said for Gary Lineker when he hosts tonight’s Match of the Day, it seems. So, on Thursday night I went to see Ride play the Brixton Academy. I had bought my mate Holmesy a ticket for his 40th birthday (he won’t thank me for announcing that here – it took him 9 years, 364 days to admit he was in his 30s), as in the 15 years or so I’ve known him, he has often regaled me with tales of how much he loved their track “Sennen”. So when the Oxford quartet announced earlier this year that they were going to reform to play some gigs – the first of which sold out ridiculously quickly – I knew that we would end up going, and that this would be the easiest birthday present to sort out ever. Also in attendance: Neil, who had won two tickets earlier in the year to see Mark Gardner and Andy Bell perform an acoustic set at the 100 Club, and had kindly invited me along. He had also automatically bought two tickets for Thursday when they went on sale, so confident was he that I would be up for going (in other words, that he would get his money back without having to speak to a tout). 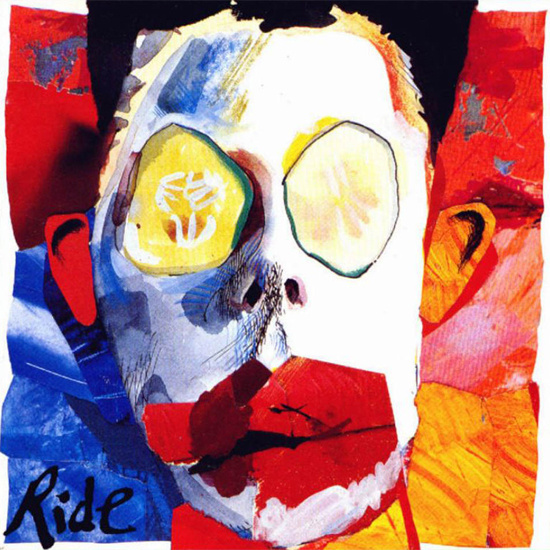 On Thursday, Ride had dispensed with a support act, opening with “Leave Them All Behind” as part of a Greatest Hits set (insert own gag here) for an hour or so, then came back on to do their album “Nowhere” in its’ entirety, followed by an encore which unsurprisingly took us back to where it all began, by doing “Drive Blind” and “Chelsea Girl”. It’s a tragedy that they never used to play “OX4”, such a thing of beauty was it on Thursday. PS: I have a semi-amusing Ride bon-mot from back in the day. I’ll save that for when I get to 1990 in the “History of Dubious Taste” thread though. That is what’s known as “a teaser” in the business.